While walking the halls this quote was seen on a student's paper. Our students are growing in spirit, mind, body, and service. 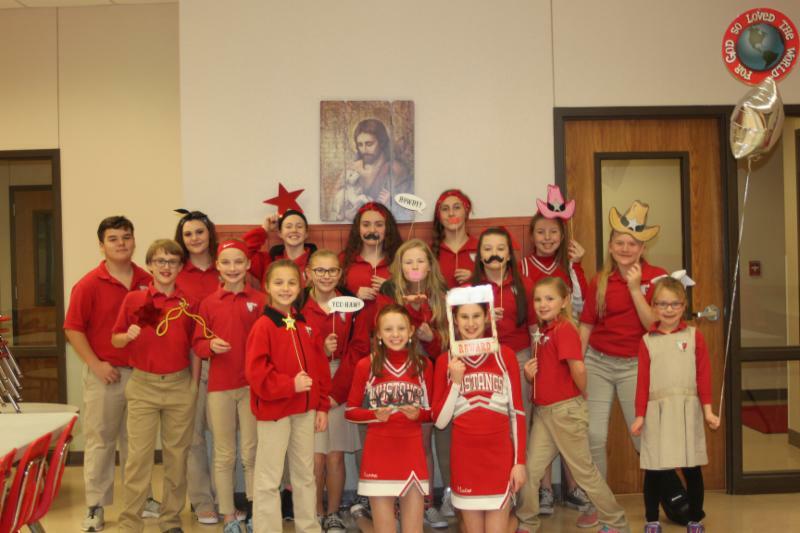 We had a wonderful National Catholic Schools Week to start off this month! It is always fun to see the parents, grandparents, and families visiting our students; especially at the Parent & Grandparent lunch, and talent show! PreK Round Up was held on Thursday, Feb. 7th. If you or someone you know was unable to make it to Roundup, and are interested in enrolling a child for the 2019-2020 school year, please email or stop by the school office for more information. We celebrated Valentine's Day with carnations from student council and class parties. Students exchanged valentine cards and ate sweet treats. A few classes played games and one watched a movie together. We are blessed to offer Spanish I to our 8th grade students! They have learned 42 verb conjugations and their meanings so far this year. They are currently reviewing these while learning how to describe where they live and what chores they do with focus on grammar. This week's skill is the use of 'estar' with prepositions and how to use 'tocar' and 'parecer' in common phrases. During class on Monday, Ms. Turner asked each student to describe what they have to do around the house. One student's response was 'Me toca cocinar'. Student's shared about helping in the kitchen, helping with siblings, making their beds, and much more. Tomorrow they will field trip to Arlington to see Latin and flamenco style dancing. 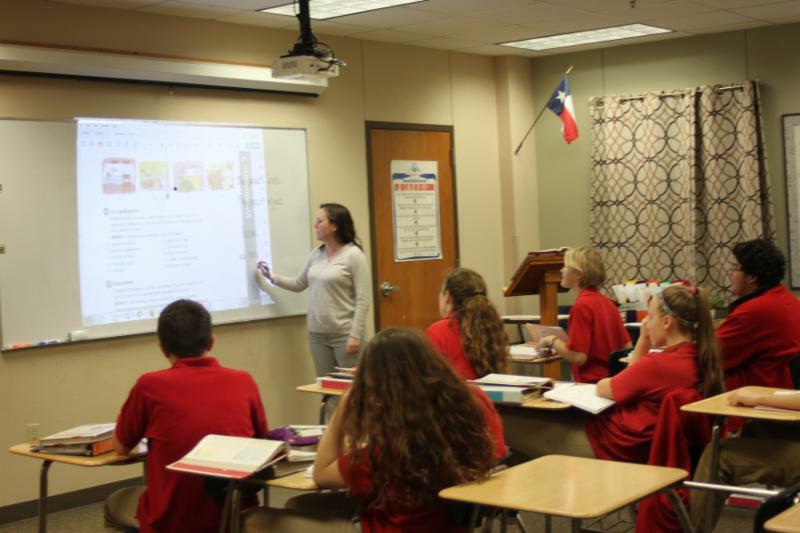 In Grade 7, students study the history of Texas from early times to the present. 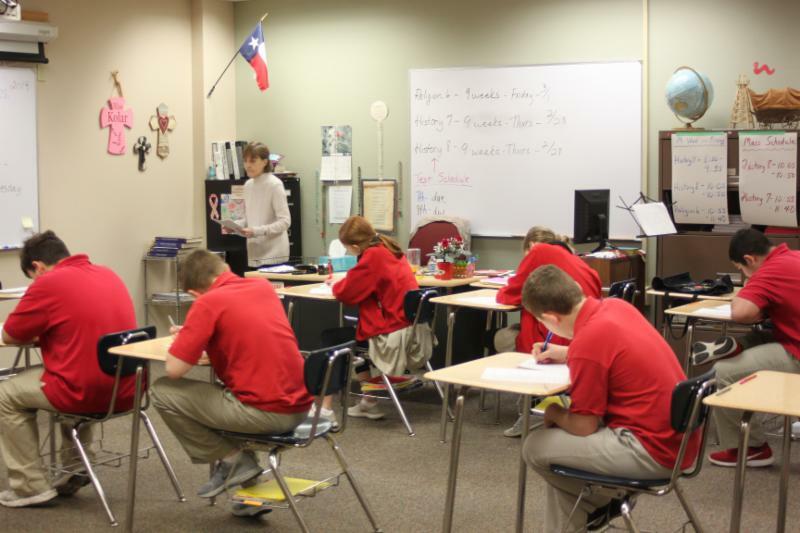 Today in Ms. Kolar's History class, our 7th grade students are taking their 9 weeks test. This quarter they have covered Texas in the Great Depression, the Texas Oil Boom, beginning of railroads in Texas, a bit of banking history, segregation, how the 'Dust Bowl' affected Texas, and the Galveston hurricane of 1900. The Texas essential knowledge and skills (TEKS) for mathematics in middle school is an adjustment for most students as they transition into junior high. 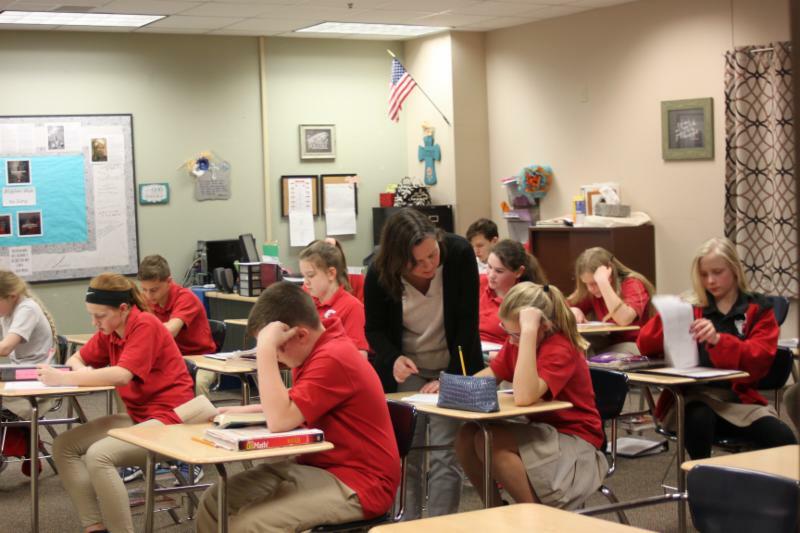 We are thrilled with how our 6th grade class is working hard and growing in their knowledge. They just finished a chapter over writing and solving algebraic equations and are currently covering how to write and solve algebraic inequalities. 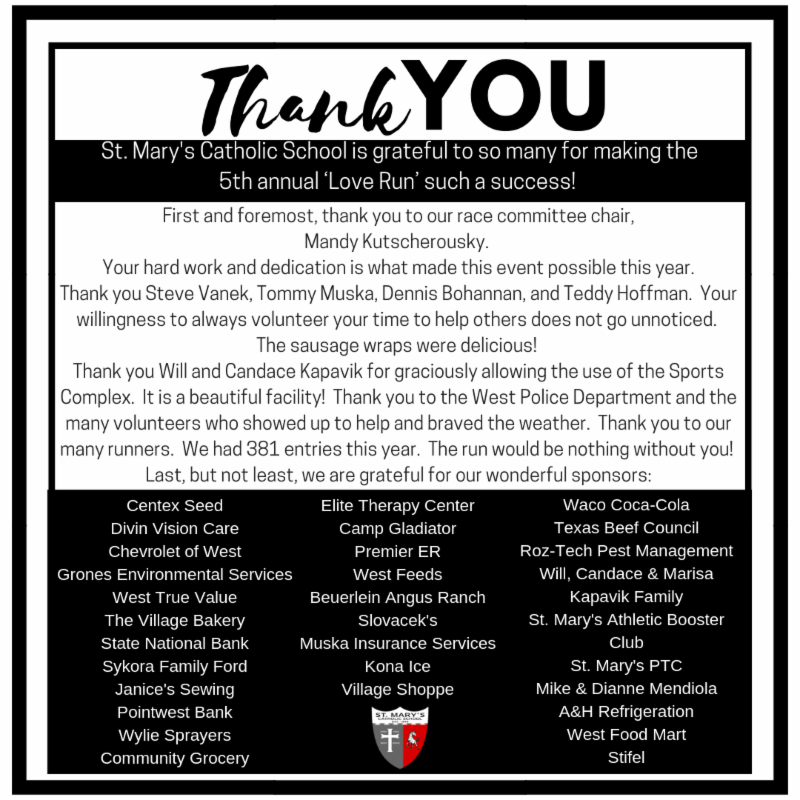 The 5th annual 'Love Run' was a great success this year! You can check out the pictures here. The junior high and private league 2018-2019 basketball season has come to an end. We are proud of all of our Mustangs and Lady Mustangs. Their dedication and hard work helped them to succeed on and off the court! The first track meet of the 2019 season will be this upcoming Monday, March 4th in Bosqueville. To see the list of all meets visit the athletic tab on our website. 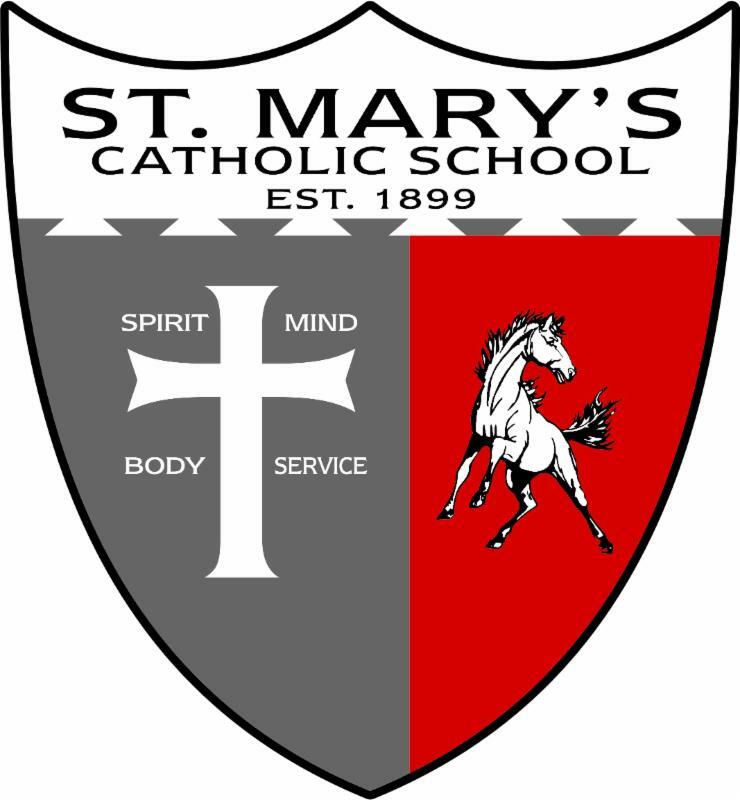 All SMCS athletes, save the date: Friday, April 26th at 6:30pm for the annual St. Mary's Athletic Banquet. Our Spring Fundraiser is Otis Spunkmeyer Cookies and will run March 8th - March 25th. Anyone is welcome to attend the monthly meetings. Fresh insight is very much appreciated. Next Meeting: March 20th at 6:15pm in the teacher's lounge. Find more info and our full calendar of events on our school website. 26th: PreK & Kindergarten 'Rodeo' Day! Check out our full SMCS 2018-2019 Calendar to really look ahead! Contact us with any questions or see our online calendar for more information. 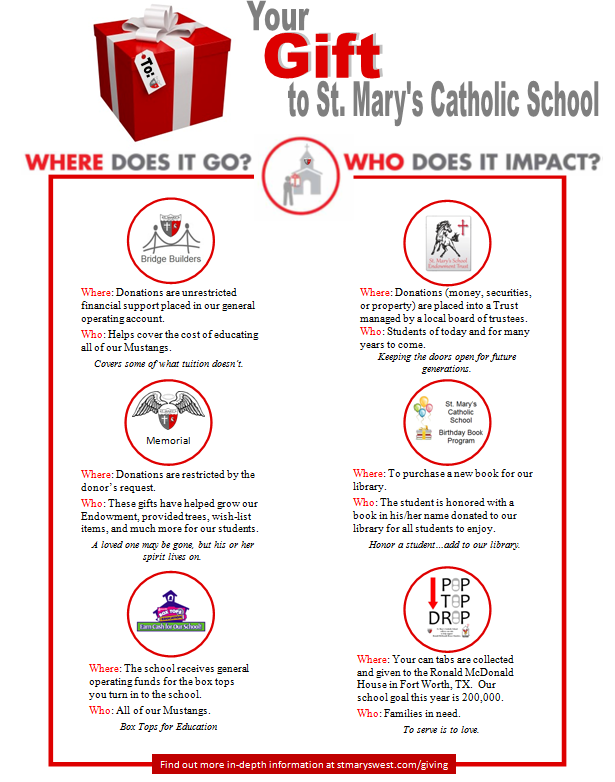 If you are interested in helping St. Mary's give the gift of a Catholic Education, call the school office at 254-826-5991 or stop by today. We give tours on Tuesdays.